You've probably heard of nylon before. Since its inception in 1935 it has become a household name, and it is used all over for many different applications. From apparel, to flooring, to machined or molded mechanical parts, you can find nylon just about everywhere. The thing is, that "nylon" is just a generic name for a family of nylon products, each with their own specific uses and properties. In this Material Focus article we are going to take a look at Nylon MD. 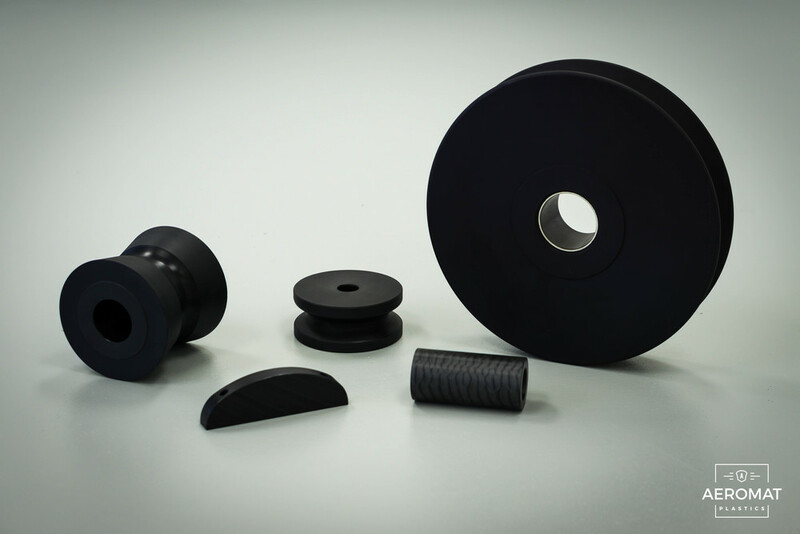 Nylon MD is a blend of Nylon and a Molybdenum Disulfide (MD) specifically designed to enhance the materials thermal, mechanical, and bearing properties. In a nut shell, the MD adder lowers surface friction, improves material strength and rigidity, and even helps to give it better dimensional stability. Where is Nylon MD used? 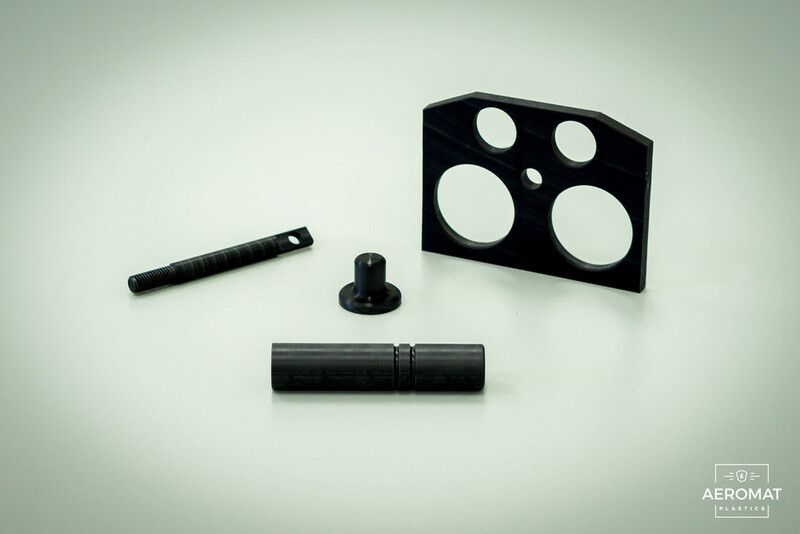 Nylon MD is designed for wear & lubrication. As such, you will find it used frequently in high-wear applications that external lubrication is either not possible, or undesirable. 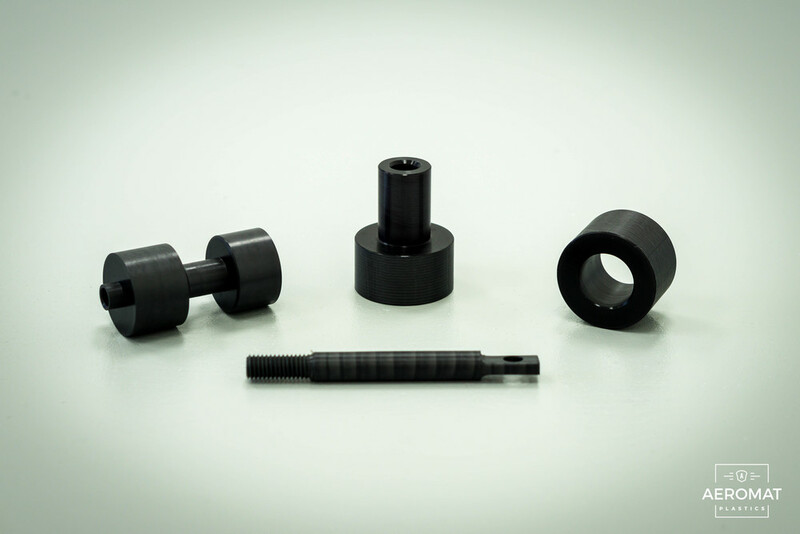 Sheaves, rollers, gears, bearings, valve seats, sleeves, pulleys, wear pads, and thrust washers are just a few of the many applications for this material. Is Nylon MD chemical resistant? Yes! In fact that is one of the great things about Nylon. This material handles most organic acids, solvents, alkalis, greases and oils. If you are going to be using Nylon MD in an application that depends upon its chemical resistance, however, you should ask your plastics dealer for a chemical resistance chart to verify its chemical resistance. Nylons can absorb up to 7% (by weight) water in high humidity or when submerged in water. This can result in dimensional changes up to 2% and a reduction of physical properties. You can download a copy of Nylon MD's mechanical properties by clicking here. We would be happy to take a look at your next project! Whether you are in search of raw material, or fully manufactured parts / assemblies we are here to help.